1215 Saulter Rd, Homewood, AL.| MLS# 796027 | Richard Jacks UABLIVING.com 205-910-2297 | Birmingham AL Real Estate | Contact us to request more information about our Homes for Sale in the Birmingham AL area. 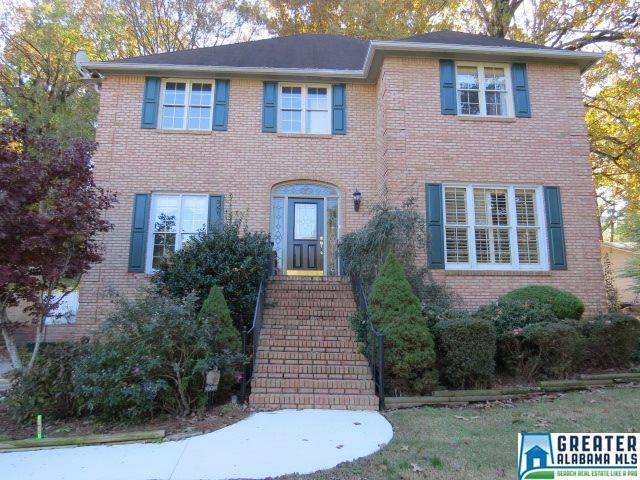 Two story brick, beautiful home in the heart of Homewood. Nine foot ceilings, pickled hardwoods in living areas. Living room and separate dining room plus a large den with a fireplace. Half bath on main level also. Spacious kitchen features red oak pickled cabinets, appliances, Jenn-Aire cooktop with downdraft in the island with breakfast bar. Kitchen eat-in area overlooks enclosed sun porch and large level back yard. Pet lovers....we have a pet door coming from backyard into basement and another one into the sun room! Upstairs is the master suite with walk-in closet and jetted tub and 2 additional bedrooms with Jack and Jill bath. Full finished basement (bedroom, bath and workshop) and a 2-car garage. Ton of house for the money! Driving Directions: From Green Springs Hwy: Turn Onto Broadway St, Turn Right Onto Saulter Rd. Home Will Be On The Right.